Product #60695 | SKU OSP-RS | 0.0 (no ratings yet) Thanks for your rating! 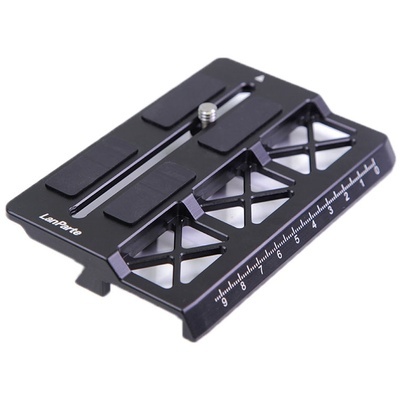 LanParte Offset Camera Plate is a dedicated camera plate for DJI Ronin-S gimbal. The offset plate design improves the compatibility of this gimbal. Dovetail on the bottom precisely matches with Ronin-S. Lightweight hollow-out design keeps the weight similar with the original camera plate without influence on the balance of the gimbal. A spare M4 thread hole in the front can easily attach with DJI’s lens support or other accessories.